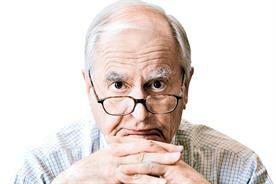 Almost all people are competitive, says Jeremy Bullmore, Campaign's resident agony uncle. I am a marketer at a drinks brand with more than 250 employees. A recent company survey pointed out to us that our under-35 employees are largely unhappy. Do I treat them the same as I treat my millennial consumers? Let them contribute more and allow them to create content – make videos, take photos, pen lyrics, draw murals – and then give them immediate feedback and celebrate them? I’ve waited a month or two before answering your question in the hope that I’d come to understand it. I haven’t. It seems to me unlikely that you allow your millennial consumers to make videos and take photos. It seems to me unlikely that your discontented employees would appreciate the opportunity to draw murals. It seems to me a matter of certainty that your 250 discontented employees are not going to become contented employees because you celebrate their lyrics. I think (and I concede that you’re not alone in this) that you’ve been reading far too much rubbish about millennials and that your New Year’s resolution should be to think of your employees – and, indeed, your consumers – not as millennials but as what the more perceptive social commentators call people. Once you realise that you employ not millennials but people, it will become a great deal easier to understand why they’re unhappy and what you can do to make them less so. Almost all people are competitive. A very few are not but you won’t find them in marketing. Marketing people like winning and dislike losing. You can tell how good people are at marketing by watching them play football with their children. The good ones never let their children win. Potential marketing superstars are ruthless Monopoly players and get visibly distressed when they land on Mayfair. Next time you’re recruiting, don’t subject the candidates to psychometric tests but invite them to play Monopoly against each other – and watch them closely. It may not be the winner but you’ll know which one to hire. It will be the one to whom it was clearly a matter of life and death. And it’s people’s capacity to confuse games with reality that’s the key to your new management approach. Your interest in lyrics and murals is the giveaway. It brands you as a bit of a luvvie. You clearly believe that your sensitive young staff should be protected from the brutalising aspects of competitive capitalism. Nothing could be further from the truth. No wonder they’re unhappy. You should immediately instigate an internal competition based loosely on The Apprentice. Model your own behaviour on that of Donald Trump (Lord Sugar is too conciliatory). Set highly ambitious sales targets – the more challenging, the better. Then institute monthly shoot-outs whereby your teams first compete against each other – and then with each other. Every month, one team and one individual will be fired, by you, publicly, contemptuously and in front of their peers. Because all true marketers take winning games as seriously as they take winning life, the possibility of being fired at the monthly facedown will be just as motivating as the possibility of being fired for real – which, of course, they won’t be. Your sales results will exceed all records and your next staff survey will report a steep decline in staff unhappiness. And if some still claim to be unhappy, at least you’ll know why. How can adland make its management roles more palatable for a generation that does not want to pursue a career at the expense of happiness? Haven’t I just answered a question from you? Management roles in adland are never going to be palatable to anyone who has been encouraged to believe that they are entitled to stress-free employment and the universal acceptance that bedtime always takes precedence over new business. Take away the uncertainties, the highs and the lows, the triumphs and the disasters, the juggling of priorities – and, for many, you take away what helps to make the trade an absorbing one. It’s possible to make it work – but never because of a human-resources handbook or prescribed management procedures. Making it work depends on the agility, wit, inventiveness, empathy and inexhaustible good humour of the individual. Jeremy Bullmore welcomes questions via campaign@haymarket.com or by tweeting @Campaignmag with the hashtag #AskBullmore. Ask Bullmore: Do I have to like the people who work on my brand? Ask Bullmore: How should I handle public criticism about my company? Ask Bullmore: How can I better manage competing relationships? Ask Bullmore: Should we stop labelling only certain people creative? Ask Bullmore: Should I work for a company famous for its ethical scandals? Ask Bullmore: How do I stop a Brexiter colleague from being bullied? On the Campaign couch: Should I play nicely with my competition?